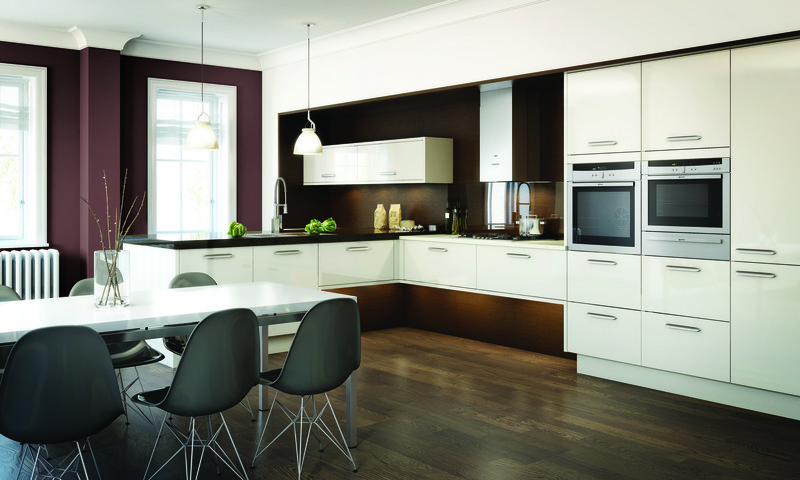 The Avant kitchen is a vinyl veneered kitchen available in five high-gloss colours. 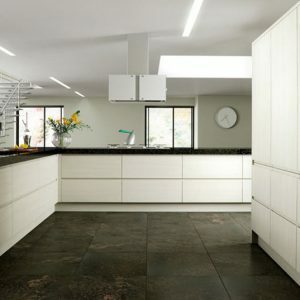 It is has been available for a number of years and is a very good starting point when thinking of a slab vinyl veneered kitchen. 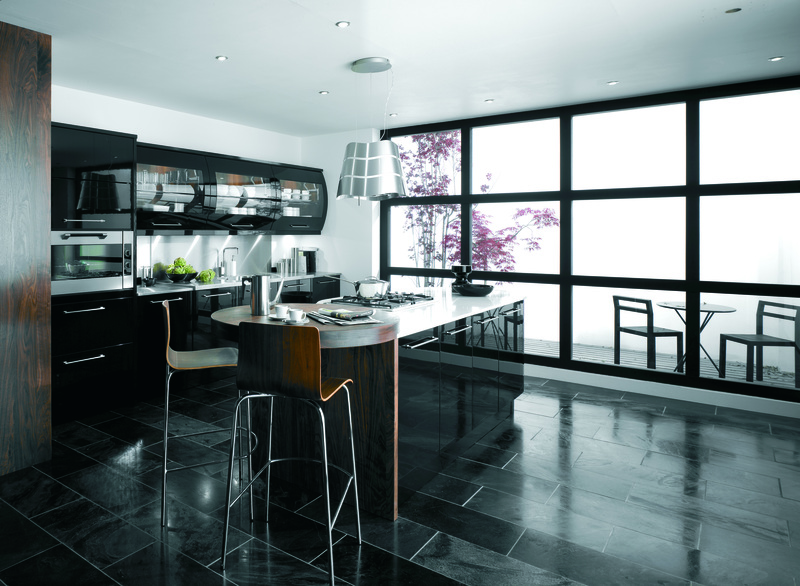 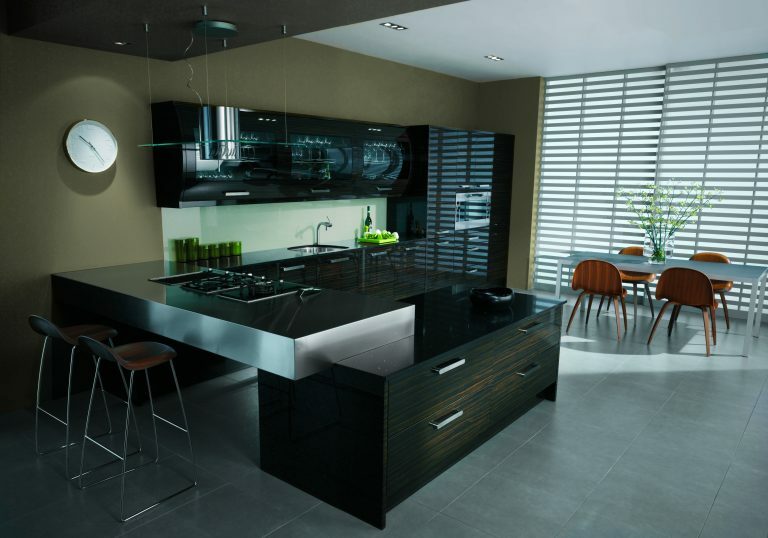 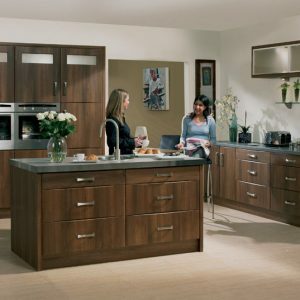 Within the Avant range of kitchens is the Ebony. 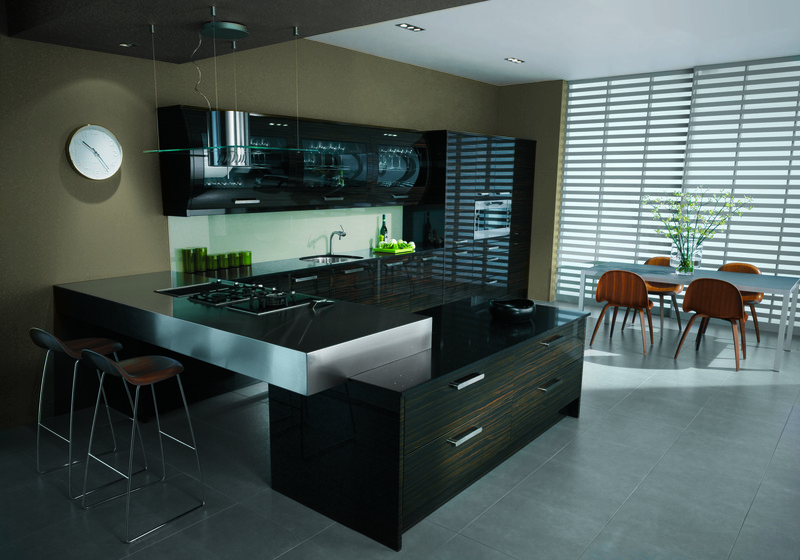 This is an ebony emulation a vinyl finish, it is as you can see very striking something that one may find in a London flat. 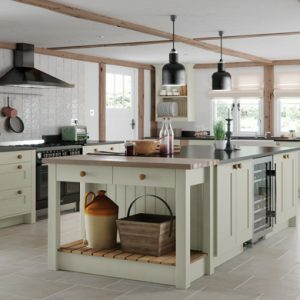 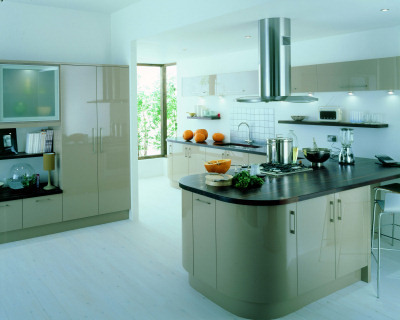 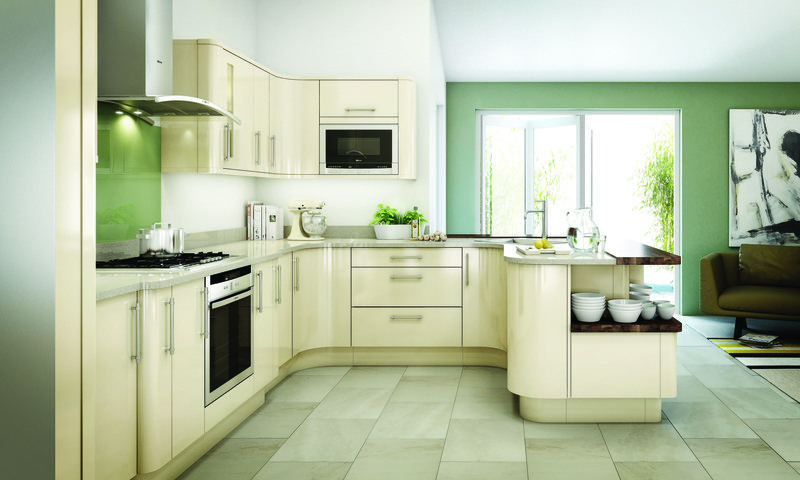 Nevertheless, the range does include some more eloquent colours such as t Alabaster, Beige, Ivory and White. 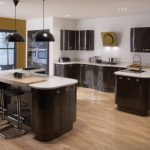 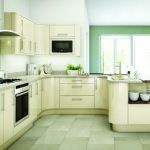 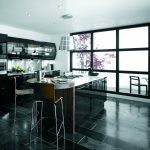 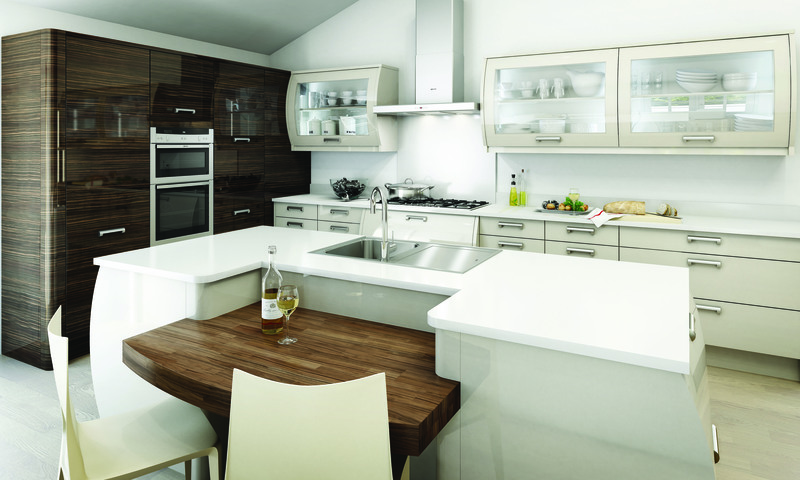 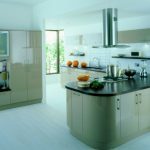 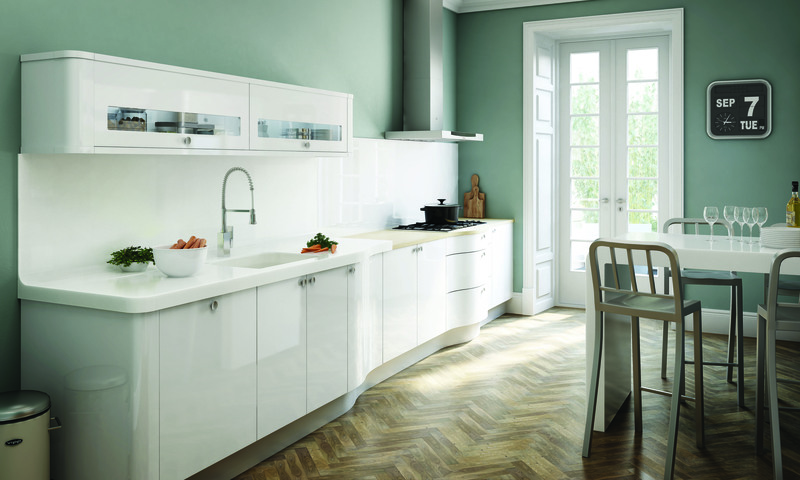 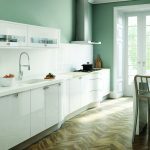 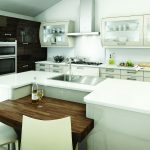 The Avant kitchen range includes a considerable array of accessories including “S” shaped doors. 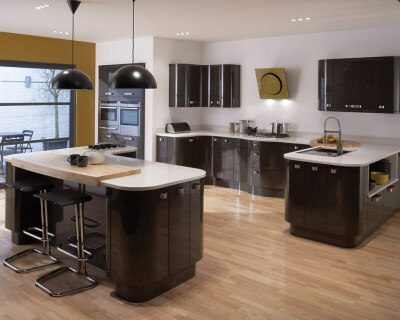 This display design demonstrates the flexibility of the range, the wall units shown are large lift up doors emulating the accessibility that one would get with a car bonnet, though many car bonnets are not glazed as these door fronts are. 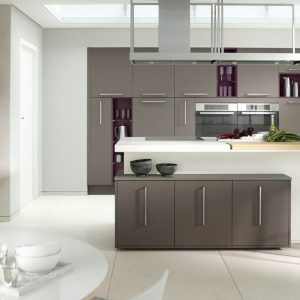 The lift mechanism is striking similar to a car bonnet.